MLA South East Asia Region Manager Andrew Simpson addresses the 2017 NTCA conference in Darwin. A familiar-sounding acronym has started appearing regularly in beef market reports from Indonesia. When most people hear “IBM”, they think computers. But when mentioned in the context of an Indonesian beef market analysis, IBM has a different meaning altogether. In this case it refers to “Indian Buffalo Meat”, which has had a market-altering impact since being introduced by Indonesia as a cheaper alternative to imported Australian beef nine months ago. In that short period Indian buffalo meat has grown to claim about 20 percent of the total beef market in the Greater Jakarta area per month, according to market research conducted by Meat & Livestock Australia with funding from the combined MLA-LiveCorp Live Export Program (LEP). 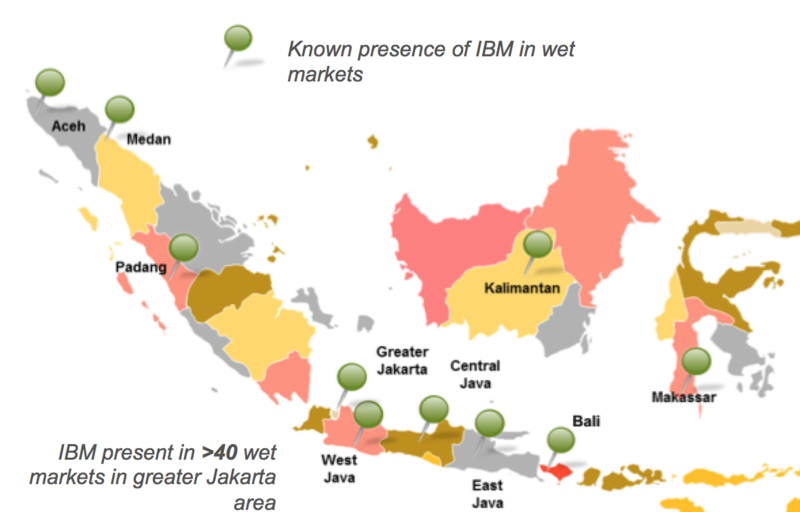 The survey of hundreds of wet markets and bakso ball manufacturers, completed in February, showed that IBM is now present in at least 40 Jakarta wet markets (plus several other areas around the archipelago). It also indicated that local cattle traders are facing a 50 percent decline in cattle sales. However, while the impact has been significant, the survey also suggests that the uptake of Indian buffalo meat by Indonesian consumers may not have been as rapid as it could have been. “It has been a steady uptake by consumers, and they are still very much testing (IBM),” MLA’s South East Asian region manager Andrew Simpson told last Friday’s NTCA conference. Explaining why Indonesia decided to legalise IBM imports last year, Mr Simpson pointed out that that Indonesia’s annual demand for beef is 600,000 tonnes. That is filled partially by about 400,000t of beef produced by local Indonesian farmers. The gap of 200,000t has been filled in recent years mainly by imports of Australian live cattle and boxed beef. However, that was until the rundown in Australia’s herd pushed our cattle and beef prices to much higher levels. That opened the door to cheaper frozen buffalo meat from India getting a “free-ride” into the market, as Indonesia looked for a cheaper alternative to keep its markets well supplied with lower cost product, to support its aim of preventing wet market beef prices from rising even higher. (Although there is some evidence that Indian Buffalo Meat is not selling as cheaply as the Indonesian Government expects it so, as market middlemen price it just under local product and pocket the margin for themselves – more on this in a follow up article on Beef Central later this week). Indonesian Government body Bulog has been given permits to import 110,000t of Indian buffalo meat this financial year. So far it has imported around 60,000t. But of that volume, only around 25,000t has been released onto the market, leaving 35,000t in frozen stores, on hand if and when required. This gives Indonesia an important supply buffer in the lead up to this year’s Ramadan, the period when consumer demand for beef in Indonesia peaks, a luxury it has not had in recent years. “The big difference between Indonesia leading into Ramadan this year and last year is that Indonesia has a card up its sleeve – 35,000t of stock which it will feed into the market if it needs to back into the market,” Mr Simpson said. To better understand the impact Indian buffalo meat has had in the market, combined funds from MLA and Livecorp’s joint Live Export Program (LEP) were used to survey more than 200 wet markets and small-medium enterprise (SME) bakso ball manufacturers throughout Indonesia in January. the wet markets. IBM now accounts for about 10pc of the 10,000t of total beef sold through that channel per month in the Greater Jakarta area. About 15pc of the 2500t per month used in the large manufacturing channel (to mass manufacture products such as sausages, pies, lasagnas). The impact of Indian buffalo Meat on the hotel, restaurant, catering, and high-end retail trade has been virtually zero. Mr Simpson said the survey reinforced the message that as long as meat for sale is affordably priced, fresh and safe to consume, consumers will go for it. Beef ticks those boxes – with the possible exception of affordability. Buffalo is lower priced and more affordable – however, the survey suggests customers are still not sure about whether it is safe and fresh. The survey also indicated that Indonesian customers do not think it is important whether meat is produced locally or imported. About 90pc of customers surveyed said they could tell if the meat for sale was beef or buffalo meat. However, Mr Simpson said that comparing meat hanging on a hook in a wet market, it was often very difficult to differentiate visually between Australian beef and Indian buffalo. It was even harder to tell if a cooked bakso ball contained beef or buffalo meat. He said some stands in wet markets are only just starting to differentiate between the beef and buffalo meat. For 30 years Australian beef has been selling in Jakarta markets alongside locally produced beef, and there has been no need to differentiate. Now, however, with the emergence of a third competitor, IBM, the need to differentiate Australian product is growing. “How we differentiate in those markets will be key to our viability going forward,” Mr Simpson said. “Transformational transition from traditional to more modern is happening. “I can show you butcher shops in Jakarta now that are starting to do the price range. “I believe the more sophisticated these chains become, the more they will turn back to Australian beef as a supply base. 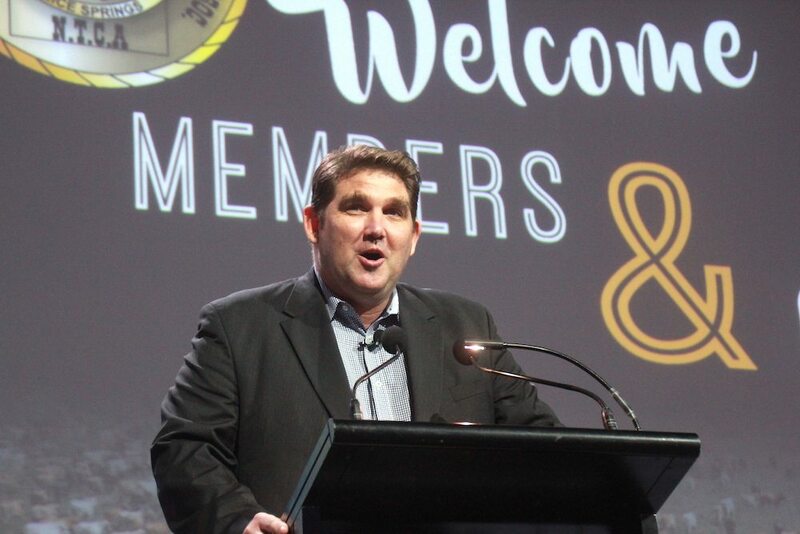 “And I think we have got some things in this country that are so good that we are not yet promoting, like our traceability or our on-farm systems, that need to be done more in this live export space. And yet again we see the mantra of the benefits of traceability being espoused without recognition of the compliance cost issues that make our products dearer in the marketplace. The Indonesian industry has no traceability system other than the ESCAS requirements for Australian imported live cattle and that is again a cost imposed on a market by Australian Authorities which competitors don’t have to comply with.The IBM industry has no traceability system and by their own admission in the above article over four fifths of the meat volume sold in Indonesia has no traceability system behind it. That is the domestic supply and IBM imports totalling 460,000 tonnes of product with permits for another 50,000 tons of carabeef. That shows how important the traceability system is in their eyes and we continue to support this mandated cost impost on our industry. US beef goes into some of our traditional markets and it doesn’t have to demonstrate traceability in the manner we impose on ourselves and they are doing very nicely at our expense with their growing sales. The recent hiccups in the Brazilian export market are more about storage of product and lax inspection systems than about traceability issues of cattle supplied into the market. If Indonesian consumers are worried about the traceability of supply then the 90% of them who state they know that they are choosing IBM are obviously not concerned, nor is the gov’t who have 35,000tonnes of traceability free meat in storage to manipulate the market with in the future. It would seem the only players in this little play who are hooting the traceability idea are those in Australia who have a vested interest in its establishment and its continuance. The majority of the players in this situation do not care in the least. We will continue to lose markets to lower cost suppliers at each pricepoint in the global market because our costs are just too high and the industry seems completely unwilling to address this situation in other than token rhetorical utterences.